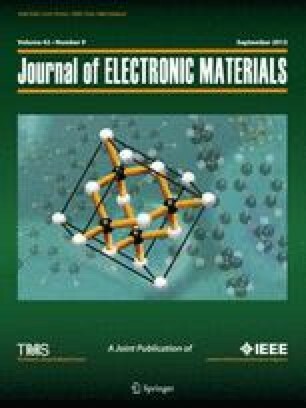 This paper focused on the microstructure of SnAgCu-rare earth (RE) solder alloy and its small single-lap joints, focusing on phases present and the distribution of RE in the SnAgCu solder. Energy dispersive x-ray (EDX) analysis was used to observed the RE-rich phase. The RE atoms also tended to aggregate at boundaries of primary dendrites in the joints and form as a weblike structure, which surrounded the dendrites and restrained the dendrites from sliding or moving. It is assumed that this would strengthen the boundaries and increase the resistance to creep deformation of the solder matrix. The creep-rupture life of joints can be remarkably increased, at least seven times more than that of SnAgCu at room temperature. The aggregation mechanism of RE at dendrite boundaries in SnAgCu solder joints was presented. The drive for RE atoms to aggregate at the boundary is the difference of the lattice-aberration energy between the interior and the boundaries of the dendrites, which is caused by a solution of RE atoms.